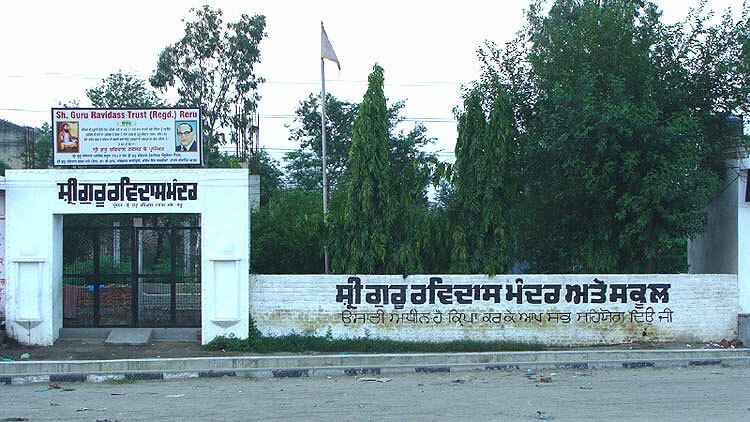 Shri Guru Ravidass Trust (Regd.) Reru is a charitable organization deeply committed to the development of children, youth, women and the aged of Ravidassia Community. In the year 1966 the trust came into existence under title Shri Guru Ravidass Naujawan Sabha and in 1998 Shri Guru Ravidass Trust (Regd.) Reru was established and duly registered with The Sub-Registrar of Jalandhar District bearing document number: 1519 Dated: 14/05/1998. To build Shri Guru Ravidass Temple. Building a new School/Evening College for Girls with a Library. Assist individuals to develop a safe and caring community. A pharmacy, all to be non-profit-making. Advancement of Education & Religion. A Cr�che for working women, a day centre (aged). To provide formal education at a cost within the reach of a common person. Website Designed & Managed by Davin Arts� Copyright � 2009 Shri Guru Ravidass Trust (Regd.) Reru. All Rights Reserved.